The audio begins at 3.5hz a frequency associated with depression relief and plays for 15 minutes. The frequencies then shift up to 20hz where they are played for 5 minutes. 20hz has an energizing effect helping bring vitality. The Audio then plays 10hz for 15 minutes. 10hz brings an enhanced increase in serotonin and is a mood elevator. The audio then plays 20hz for another 5 minutes. 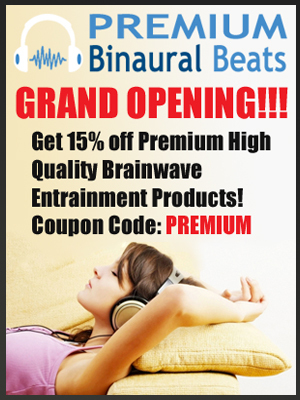 The binaural beat frequency ends by playing 1.0hz for 20 minutes, the frequency is associated with feelings of well-being, harmony and balance.